I will say right off the bat that zorbing is probably the most fun and funniest travel experience our family has ever shared. Yes, there have been incredible beaches, magnificent mountains, all sorts of safaris, hikes and extreme activities like skydiving and scuba diving. Great cities, historical sites, ruins, museums. 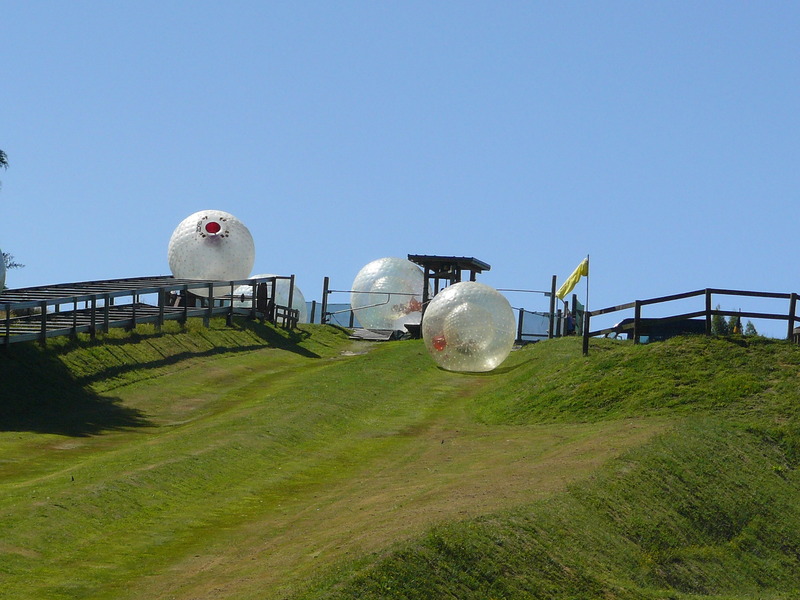 But nothing, I confess , was quite like the 45 seconds of unbelievable hilarity of zorbing. It certainly doesn’t look like much. A hill on a sheep farm outside of Rotorua on the North Island of New Zealand. And it is expensive at about $40 a go. But man it’s worth it! Compare the endless family discussions about zorbing with the money I spent at the supermarket yesterday and I have to say give me zorbing every time. 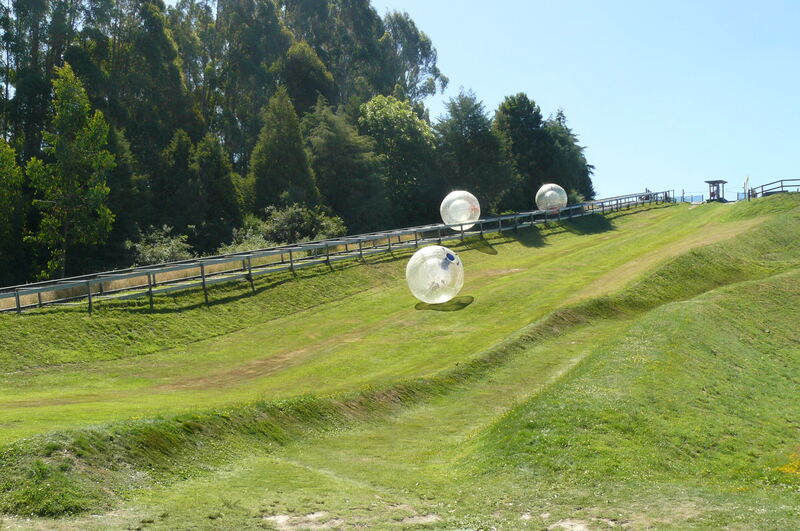 You climb into a huge plastic ball – like a giant hamster ball – which is filled with water to your knees. Then it rolls down the hill. Doesn’t sound like much does it. Well, as you’re tumbling down you’re getting soaked, and somehow – I can’t quite explain how or why – you’re reduced to a laughing child in no time. I can’t do it justice in words – you’ve just got to try it for yourself one day.